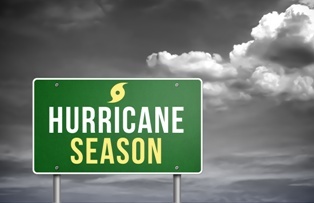 Hurricane Season Prepping Tips for Business Owners | The Voss Law Firm, P.C. Protecting your commercial property and employees from a hurricane may seem like an overwhelming task, but the steps you make now are critical to the success of your business. Insurers estimate that up to 40 percent of small businesses that close after a hurricane will never reopen, so it is vital that owners prepare for a disaster as early as possible. Attorney Bill Voss explores essential hurricane preparation tips, helping business owners cover all their bases before the next storm strikes. Texas businesses are at risk of hurricane damage from June 1 to November 30 each year. If you are a business owner, it is just as important for you to minimize storm damage as it is for you to have enough coverage to replace your losses. You should make it a priority to have a plan that addresses the safety of your employees and customers, as well as the key operations of your business to allow you to recover as quickly as possible. Review the evacuation plan. Businesses should have a plan for when employees should be evacuated, as well as a safe and well-equipped sheltering area on the premises in case it is not safe for workers to evacuate. They should have a stocked emergency supply kit that includes a battery-operated radio, cots and blankets, non-perishable food and water supply, containers for water and washing, a toolkit, a first aid kit, and first aid manual, and a flashlight with batteries. Double-check your coverage. In addition to basic property damage coverage, your business will benefit from an insurance policy that allows you to collect for a variety of hurricane-related losses. Consider purchasing a higher amount or longer period of coverage for business income losses, extra expenses, or umbrella insurance if you live in a high-risk area. Protect your important documents. All important business records (such as insurance policies, tax returns, legal contracts, and accounting statements) should be backed up and moved to a secure offsite area. Test your data recovery system to be sure you can access these records quickly and easily if the originals are destroyed. Buy a National Flood Insurance Program policy. The majority of hurricane losses are caused by flooding, a consequence that is often not covered by commercial storm damage policies. The only way to recover flood losses is by purchasing a separate National Flood Insurance Program (NFIP) policy, which may cost up to $1000 per year. Make a continuity plan. Failure to create and adhere to a continuity plan can cause a business to fail within three years of a disaster. In order to avoid permanent closure, businesses should ensure that all of their vendors have a backup plan for continuing to supply your business, have a list of alternative vendors that can turn around orders in an emergency, and have an agreement with a contractor or restoration company that you will call immediately after a hurricane strikes. Ensure that employee contact information is up-to-date (including cell phone and landline numbers, email addresses, and social instant messaging services). Make sure recovery contact information is complete (such as banks, lawyers, insurance agents, accountants, and suppliers). Fill fuel tanks on emergency generators and vehicles. Anchor sheds, outbuildings, above-ground tanks, or other structures that need to be weighted or tied down. Ensure that fire protection systems are working. Board up windows or install protective gates to prevent debris from entering the structure. Bring in any outdoor items that may be lost in the storm (such as benches, chairs, potted plants, and signage). Shut off non-critical electricity and gas. If you have been given a quote from an insurer that will not begin to cover the extent of hurricane damage, our attorneys can work to get you full and fair payment. Simply fill out the form on this page today to contact an insurance attorney at the Voss Law Firm or order a free copy of our book, Commercial Property Owners Must Read This BEFORE Filing an Insurance Claim.